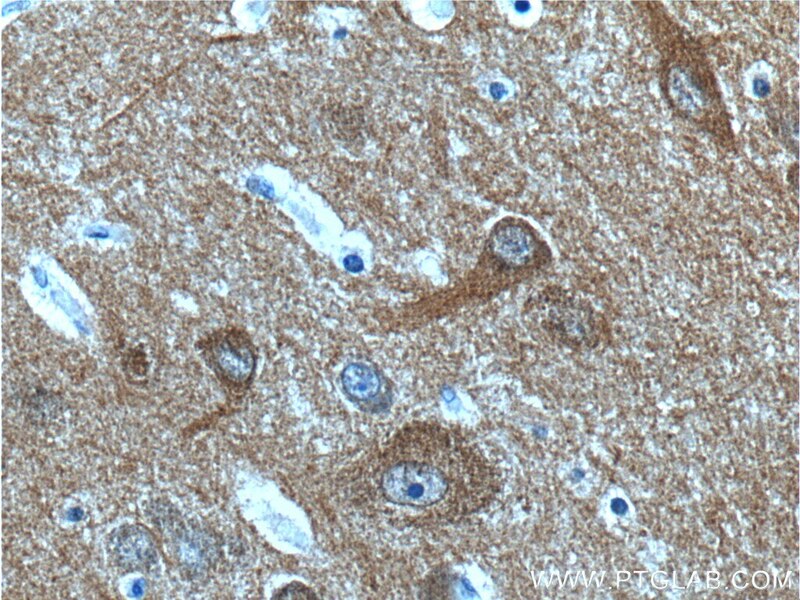 Immunohistochemical analysis of paraffin-embedded human cerebellum tissue slide using 10506-2-AP( NCS1 antibody at dilution of 1:200 (under 10x lens). 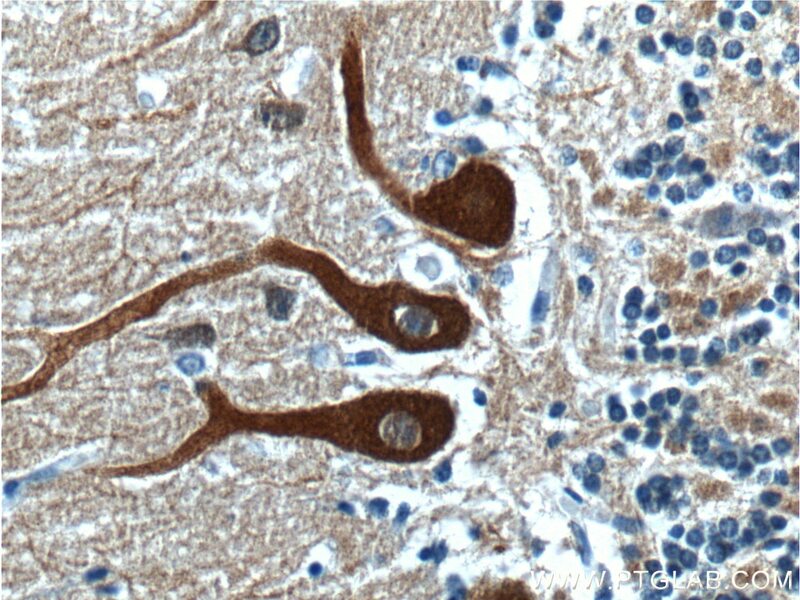 Immunohistochemical analysis of paraffin-embedded human cerebellum tissue slide using 10506-2-AP( NCS1 antibody at dilution of 1:200 (under 40x lens). 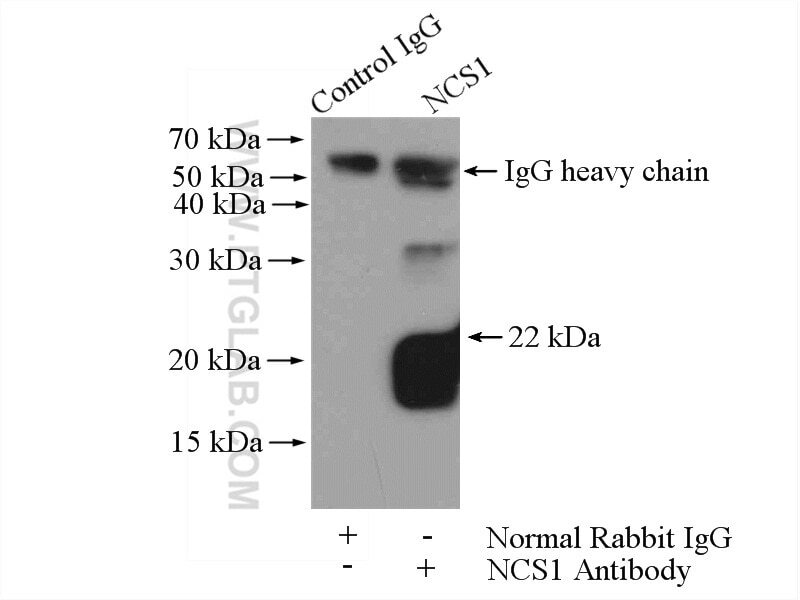 IP Result of anti-NCS1 (IP:10506-2-AP, 4ug; Detection:10506-2-AP 1:1000) with mouse brain tissue lysate 4000ug. NCS1 is a member of the neuronal calcium sensor gene family. It regulates G protein-coupled receptor phosphorylation in a calcium-dependent manner and can substitute for calmodulin. The protein is associated with secretory granules and modulates synaptic transmission and synaptic plasticity. Self-directed exploration provides a Ncs1-dependent learning bonus. NCS-1 in the dentate gyrus promotes exploration, synaptic plasticity, and rapid acquisition of spatial memory. 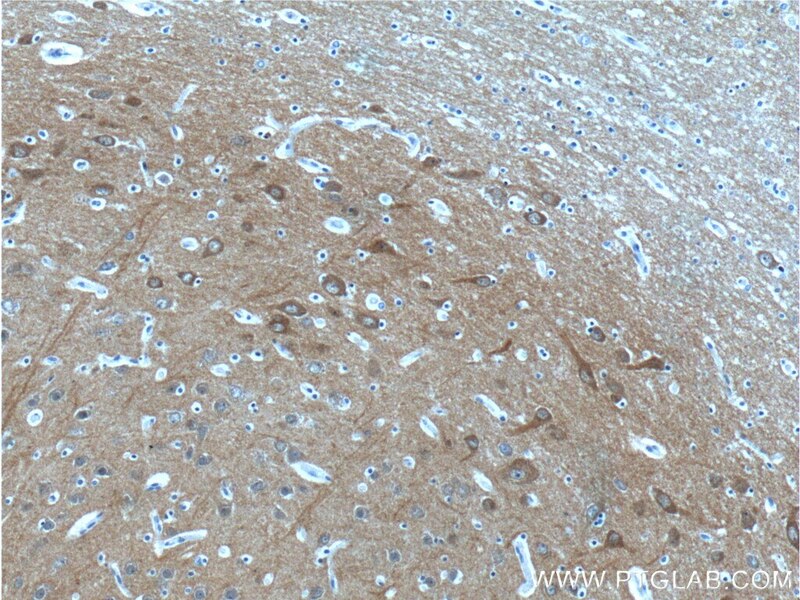 Immunohistochemical analysis of paraffin-embedded human brain tissue slide using 10506-2-AP( NCS1 antibody at dilution of 1:200 (under 10x lens). 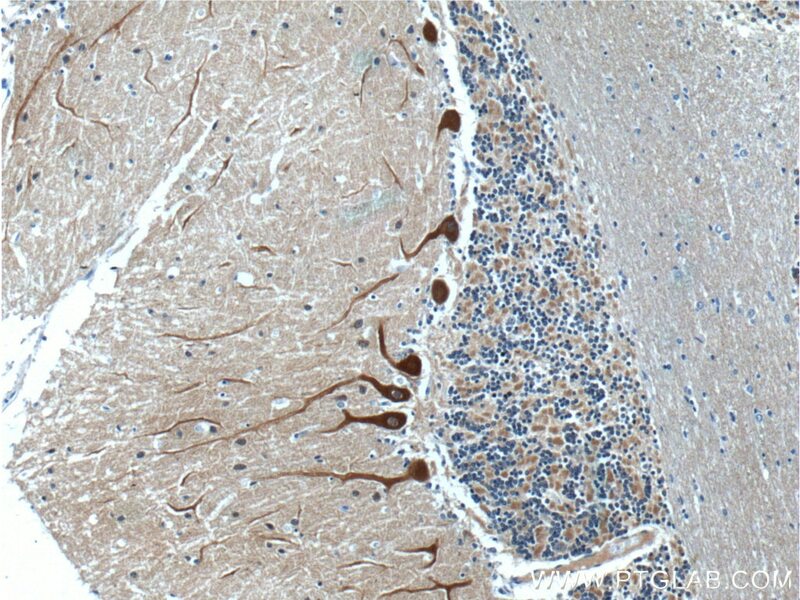 Immunohistochemical analysis of paraffin-embedded human brain tissue slide using 10506-2-AP( NCS1 antibody at dilution of 1:200 (under 40x lens).